Check payouts are quick, but high minimum. Bitcoin will give much lower minimum payouts. 1.9.2 The big Sunday tourney? 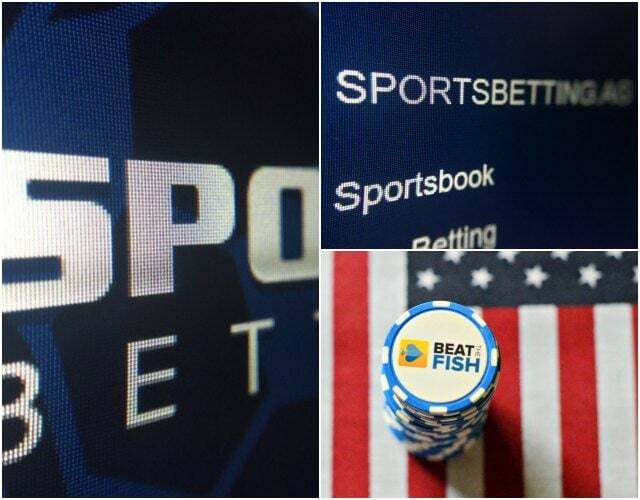 With the relaunch in 2012 of Sportsbetting Poker, one of the longest-tenured gaming brand names, came promise for another strong option to fit the needs of the current USA landscape. Sportsbetting Poker seems less concerned with the flashy bonuses of yesteryear and more concerned with ultra-converting deposits, keeping the fish at the tables, and reasonable upfront offers. Sportsbetting.ag is highly relevant and highly rated in most facets short of multi-table tournaments and the lack of anonymous HUD-blocking tables. Simply allowing players to deposit what and when they want to goes a long way to restoring some of the joy that has been taken out of the game thanks to tight games and tighter cashiers that had become staples of online poker sites in recent years. Sportsbetting Poker has some of the better credit card processors in the online gaming industry, meaning fewer declined transactions from even major credit cards. They also have a low $20 minimum Bitcoin deposit with no added fees. The Sportsbetting Poker cash games are also a step back into the highly-profitable heyday with flop percentages often exceeding 25-30% and numerous seats occupied by inexperienced players visiting from the sports section. A sentiment I’ve shared in many of my poker site reviews, loose games have become so endangered that this may be the largest endorsement of all. Flanked by an above-average payout system and simple if minimal bonus system, Sportsbetting.ag Poker is easily one of the better choices remaining in the US market. The final verdict of my Sportsbetting.ag Poker review is that they deserve their high ratings pretty much across the board. This site is best known for online sports betting, but their poker client has been available since 2012. Sportsbetting Poker is licensed and based out of Panama. The Sportsbetting Poker software had a brand new version released in 2016 for both Windows and Mac. They also have an excellent new mobile poker client for iOS and Android. Real money deposits are also some of the best in the US and the poker bonus is a top highlight. Sportsbetting.ag has proven stability over several years and are excellent for banking. Player traffic is stable and the redeveloped software is a significant improvement. Sportsbetting Poker is owned by the same management as BetOnline. They also share the same poker network for cash games and tournaments. 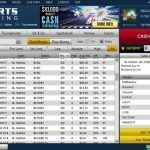 In July 2016, Sportsbetting Poker left behind the old outdated Chico network and developed a much more stable and attractive proprietary poker application. 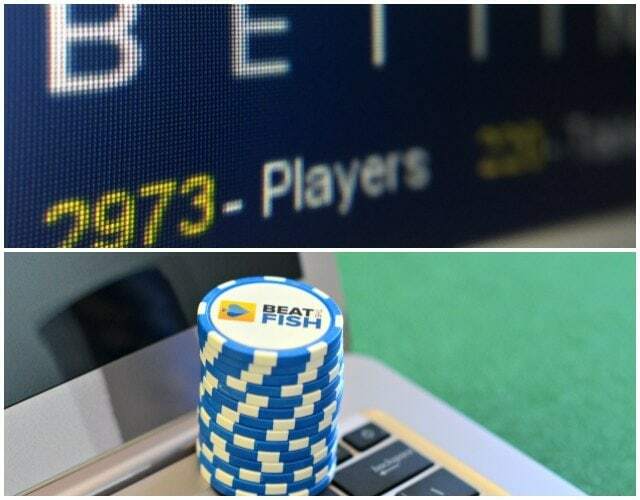 This is a major positive for poker players as it allows access to the excellent cashier and financial stability of BetOnline while also having access to built-in poker traffic and the same loose cash games. Sportsbetting Poker won’t score any points for originality, but any functional destination for US players deserves attention in this market. BetOnline players are allowed to open a separate account at Sportsbetting Poker, meaning you can earn the same deposit bonus and free bets twice if you care to go through the effort. Sportsbetting Poker remains one of the few sites accepting US players that I still recommend. Sportsbetting Poker currently has one of the most robust and successful cashiers for US deposits. With its knowledge of the gaming market going back to the mid-1990s and recent purchase by the BetOnline group, Sportsbetting Poker has seamless deposits that bypass the typical blocks by originating banks. I’ve spent the last couple of years espousing the benefits of Bitcoin, which is really the quickest most pain-free poker deposit method we’ve ever seen. Bitcoin is a must for every online poker player at this point. Sportsbetting Poker supports it natively in the cashier. For a huge tutorial on everything you need to know on Bitcoin, read my new 13,000-word Bitcoin poker feature. If you’re already using Bitcoin, you’ll get the smallest minimum deposit of $20 without any added fees. From my experience, Bitcoin deposits are credited to your Sportsbetting Poker cash account in about 15-20 minutes. Even major credit cards are accepted at Sportsbetting Poker at close to a 100% rate with customer service, either by e-mail or telephone, able to manually help transactions go through, if necessary. No third-party signups or e-wallets are required with deposits able to be made using the web or software cashier and available for play within a few minutes. All credit, debit, and prepaid cards should be accepted at Sportsbetting Poker without issue and no fees are charged. In the rare case that a card cannot be processed, Sportsbetting Poker has instituted a proprietary voucher system as a backup funding method. Players can purchase voucher codes using an existing credit card on a third-party website, which can then be entered directly in the Sportsbetting Poker cashier. This voucher method does take a bit more time and requires a bit more information, but it still can all be done online with relatively little hassle. Again, no fees are charged by Sportsbetting Poker for this method. 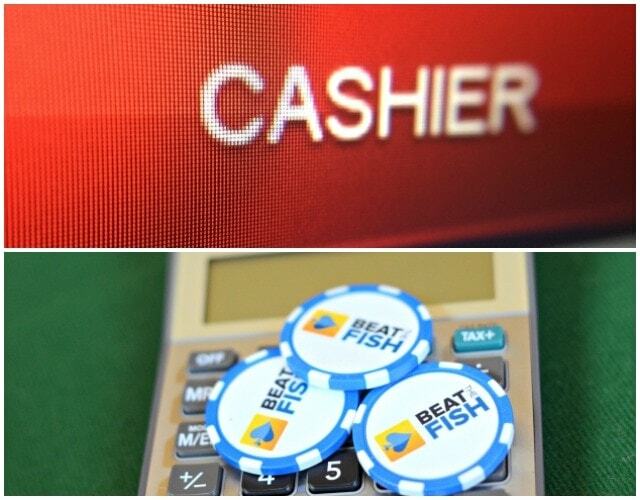 Sportsbetting Poker players can also use the tried-and-true cash transfer method, which can now be done online, with both providers using either a debit/credit card or checking account. There are also thousands of physical kiosk locations around the country that offer cash transfer, usually within grocery stores or pharmacies, which may also be an option for receiving cashouts. Finally, as a last resort, Sportsbetting Poker does accept wire transfers that would be initiated by your bank or even physical methods such as mailing in a cashier’s check or money order to the poker room. With all of these alternative methods, be sure to ask the Sportsbetting Poker support for the transfer information or mailing address. One of the standout features of Sportsbetting Poker is stellar credit card acceptance rate, which I estimate at over 80% for US players. Even better is Bitcoin at 100% and a $20 minimum. For the first year or so after the launch of Sportsbetting Poker, I was puzzled as to why they refused to offer any sort of poker-based bonus. It’s bold to try to attract players purely from what’s under the hood (and offer non-poker bonuses to get players to play in their other gaming sections). Still, why not be competitive with literally every other poker room flashing neon lights with big numbers in front of prospective players? It seems that Sportsbetting Poker finally listened to player requests and now offer an impressive 100% play-based poker bonus, which is valid up to $1,000. Those are certainly eye-popping numbers. Of course, with any bonus these days it is only as good as your playing time/level. I would estimate that average Sportsbetting Poker players at the $1 NL level will earn about $2-3 per hour per table of bonus, which is quite good compared to other sites. The terms of release at Sportsbetting Poker used to be some of the strangest I’ve seen, but you now automatically receive $5 in real money added to your poker balance every time you earn 1,500 Comp Points. I do also give Sportsbetting Poker credit for upping the time allowed to earn the bonus to 60 days, which is better than many sites who stick with a paltry 30 days. One new Sportsbetting Poker promotion that’s easy to overlook is the $5,000 new depositor freeroll. I know I did when it first debuted. 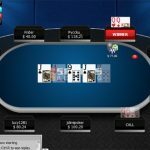 Disappointing freerolls have been abused by sites for player interest for years now. Garbage prize + thousands of players = skip. Right? Not for this one. Very few Sportsbetting Poker players actually bother to enter this, meaning it isn’t like other freerolls you’ve probably played. You’re only going up against 200 or so opponents, which is excellent. With $5,000 up for prizes, you’re basically getting a $25 tournament buy-in. Another fun bonus I see often with this Sportsbetting Poker freeroll is that probably 5-10% of players who register early don’t actually show up. That means they will automatically fold their blinds to you until they bust out. Be sure to take note of who isn’t actually playing so you can steal their blinds accordingly. 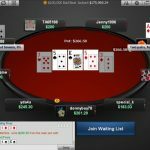 Any Sportsbetting Poker deposit qualifies for the freeroll, including the minimum $20 with Bitcoin. It may not be the main reason you sign up at Sportsbetting Poker, but you definitely shouldn’t waste the free entry. You’ll find it every Sunday at 7 P.M. EST on the tournament schedule. Your freeroll voucher also doesn’t expire as far as I know so you can hang on to it until you can definitely make the tournament time. The other two main poker-only promotions at Sportsbetting Poker are the instant Promo Bucks given for our new players on all new deposits and the POP Points system. Promo Bucks are given at the rate of 200 for each $50 deposited, which is the equivalent of $2. Promo Bucks can then be used to enter most Sportsbetting Poker real-money tournaments as a normal buy-in or for designated tournaments that use Promo Bucks as the buy-in with the ability to earn more by cashing in the tournaments. POP Points are awarded at Sportsbetting Poker based on contributed gameplay in cash games or by paying tournament fees for any event. Points can only currently be used to enter daily freerolls with real-money prizes but should expand to more uses in the future. The hourly freerolls usually offered prizes up to $100 but also draw up to 1,000 players each. These were most likely only be frequented by those on severely limited bankrolls, trying out the software, or to pass the time while waiting for new cash games hands. Unfortunately, these freerolls have been removed by Sportsbetting Poker in favor of the large depositor freeroll. There are also 2 newer worthwhile promotions at Sportsbetting Poker in the four of a kind bonus and the bad beat rebate. At minimum, every Sportsbetting Poker player should be aware of how to qualify for them as the redemption rules are unnecessarily convoluted. At less than $100, neither are massive payouts but what I particularly like is how common they will come up through normal gameplay. The four of a kind offer isn’t usually on a schedule but the Sportsbetting Poker software tells you when it is active. Any four of a kind using both hole cards then gets you $40. The bad beat rebate is every Friday with the reward (up to $50 for $10 NL) based on the game limits. The qualifying losing hand is incredibly low at a Jack-high flush or better. This could easily happen multiple times in one session. Just be sure to take note of the hand number and as many details as you can since an email to Sportsbetting Poker support requesting the prize is required within an hour. It would be nice to see these run daily, but it’s a nice extra bonus for a common occurrence. I’ve been jaded for a while now on bonuses at poker sites so the 100% number at Sportsbetting Poker meant little to me. However, the clearing rate is good, which means even lower-limit players will see a lot of it. The $5,000 new depositor freeroll was an excellent promo addition. The most interesting promotional offer at Sportsbetting.ag may actually be the instant sports bonus, which is 50% of your deposit and up to $1,000. Following your deposit, Sportsbetting Poker places the bonus amount immediately into your free bet section in the sports cashier. The intent of the bonus seems to be to get every player to check out the sports section of the site, especially poker-only players who likely never would have otherwise. With the free bets only initially usable in the Sportsbetting Poker sports section and given the risk-free nature, it’s certainly worth the entertainment of trying and build it into more. 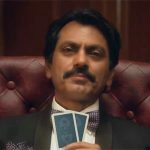 If you’re successful enough, you’ll eventually clear the rollover requirements and can then either transfer all of your winnings to poker or withdraw it. For casino players, a 100% slots bonus is also given and can be cashed out if rolled over 50x from slots play. Place the bet with your real-money funds and if you win any of those bets you just keep the winnings. If you lose you’ll need to email Sportsbetting Poker support and give them the bet details and they refund the loss up to the free bet amount within 24 hours. 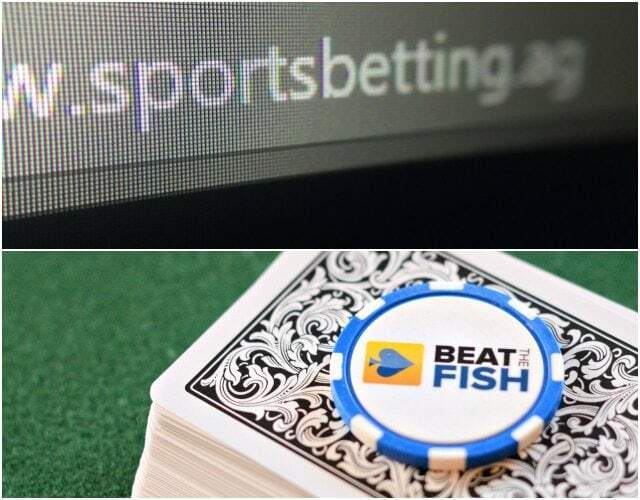 One of the few positive side effects of the former poker-only giants leaving the US market is the traction that has been gained by one-stop-shop gaming sites like Sportsbetting Poker. That usually means more profitable cash games. In my decade-plus of online poker experience, I’ve simply never found a poker/sports/casino site that is tighter than any poker-only site. Sportsbetting Poker players need only to look at the typical software numbers to see the advantage. Traffic numbers at Sportsbetting Poker are split about 60/40 between 6-seated cash and 9-seated cash games. The latter features flop percentages of 20-30% and average pots of at least 20x the big blind. Compare that to the dry-as-a-desert 7-10% seen at Full Tilt or Stars before they left the US market. Sportsbetting Poker players were previously some of the worst online and I had no doubt about its top Fish Rating. The games have trended on the tighter side in the past year, although the player base is still softer-than-average overall. With little to no advertising for any poker room on this network, Sportsbetting Poker was largely made to serve the existing clientele of sports and casino players. That group is inherently less experienced with advanced poker play and seems to view poker as an instant way to blow off steam or as a fun way to bluff and bully other players until they win big or go broke. More conservative poker players might feel like they’re walking into an alien minefield, but there’s no question that this type of game is infinitely more profitable than the raise-and-fold borefests that had begun to strangle the US market. Sportsbetting Poker has been one of the few remaining collections of wild US games and, although that has been tempered in the past year or so, the cash games are still fairly soft. When the Sportsbetting Poker network first came online I had hoped they would be the next sports/casino hotbed for incredibly loose games. The early numbers were trending that way, but as more veteran players discovered the games they’ve tightened up somewhat. The Fish Rating is still good, but not what it once was. The tournament schedule at Sportsbetting Poker is probably its weakest aspect, which is why I would suggest this poker room more for those who value easy deposit and loose cash games over large tournaments. During peak times at Sportsbetting Poker, there are multiple events every hour, although most have guarantees under $1,000 and include rebuys and add-ons. Some of the best values on the daily Sportsbetting Poker schedule include a $1,000 guarantee with a $1 buy-in every night at 6PM EST, another $1,000 guarantee for $3, and a $500 guarantee for 50 cents. There are also micro-tournaments with buy-ins under $1 and those with Promo Bucks prize pools that fill out the schedule. 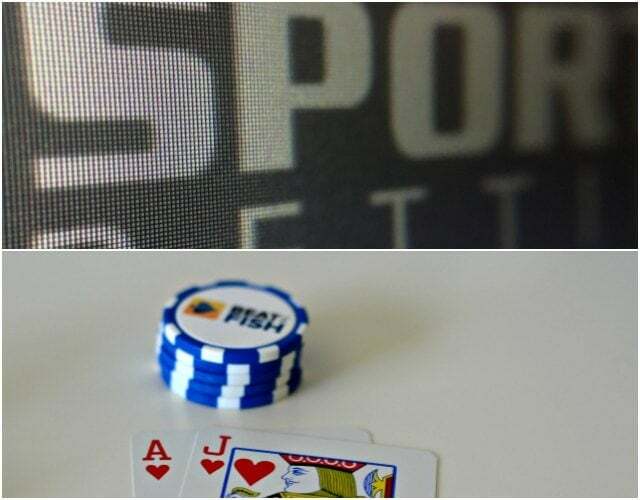 Unfortunately, a tournament at Sportsbetting Poker eessentially means it’s a rebuy/add-on event in order to satisfy their gamble-hungry player base that busts out often and to increase the prize pools. While I don’t prefer rebuy tournaments, the players are usually so poor in these tournaments that simply waiting out the crowd and occasionally doubling up with strong hands serves the same purpose of spending more money on more chips. 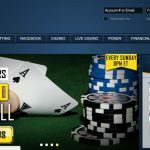 Sportsbetting Poker forgoes the large buy-in standard of other online poker rooms for its big weekly guarantee and holds its $10,000 event every Sunday. The buy-in is very low at $20 and, of course, rebuys and add-ons are allowed through the first break. The prize pool may seem paltry compared to the glory days of $1,000,000 guarantees, but this is simply the new reality for the US market with lower-trafficked sites. 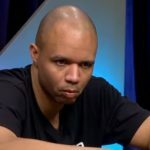 The buy-in is reasonable for smaller bankrolls and those with other commitments will appreciate the much lower time commitment involved with a tournament that only involves 150 players or so. The Sit and Go events at Sportsbetting Poker are surprisingly active and will likely appeal more than the multi-table tournaments to most players. Waiting time is low for tiny nickel buy-ins all the way up to $33 turbo tables. 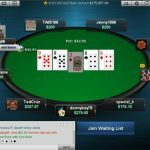 Sportsbetting Poker does host double-up Sit and Go events, which has become the most popular form of Sit and Go in online poker. Look for “1-Up” events in the Sit and Go tab. Potential overlays are another positive aspect of tournaments at Sportsbetting Poker that should be touched on. Guaranteed prize pools ensure a minimum prize pool regardless of the number of paid entrants. For example, if only 600 players pay $1 to enter a $1,000 guaranteed event SportsBetting Poker has to chip in the other $400. This frequently happens at Sportsbetting Poker, allowing you to essentially start a tournament where a number of eliminated players have already paid their way. I’m really pleased with what Sportsbetting Poker has done with the software update. Hasta la vista, Chico. The new client is available for both Windows and Mac. It fits in well graphically with other attractive competitors and allows some customization. This was a good move and easily deserves a better score. 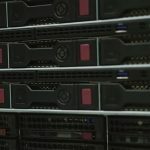 Although the old stock Chico software was functional, it reeked of a quickly-implemented skin thrown together in less time than a MacGyver hockey puck supercomputer. It worked, but it didn’t do much else. One aspect that Sportsbetting Poker has always gotten right is downloads for both Windows and Mac. Sportsbetting Poker also added a desperately-needed real money mobile option, which plays excellent. Every cash game, Sit and Go, and multi-table tournament can now be played on the mobile poker platform. I was impressed by how well the Sportsbetting Poker mobile version worked, incorporating an easy-to-use table switching option for multi-tabling. I also haven’t experienced any slowdown, glitches, or hanging yet when playing on mobile. Mobile poker can be played on an iPhone or iPad instantly without any download, while Android users have a dedicated download. In 2016, Sportsbetting Poker made the wise decision to move on from Chico once their software contract expired. It was a long time coming. 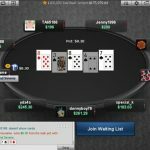 Sportsbetting Poker had long-time gaming developer Connective Games develop a new poker software client from scratch and the results are pretty impressive. It would take MacGyver at least 10 minutes and a couple of extra paper clips to develop this one. As has been standard for the last decade the lobby shows the average pot and flop numbers, which is always helpful in determining more active loose cash games. 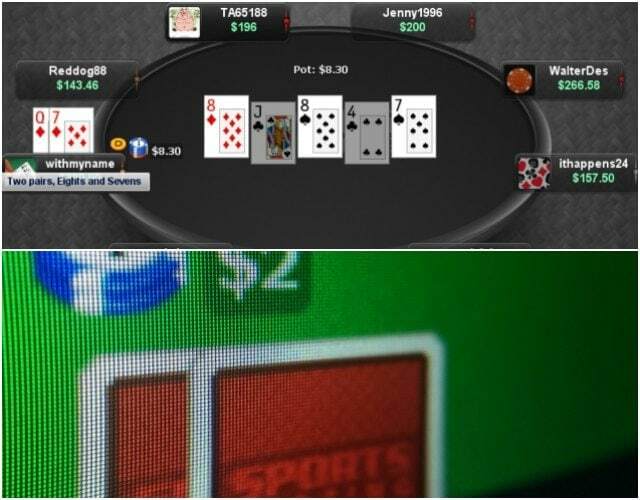 It’s strange to actually have to note the display of game statistics, but many poker rooms have actually started hiding it in an effort to loosen games. Almost every 9-seated table runs at 60-70 hands per hour, which is about as fast as you can get short of fast-fold. Two positives that Sportsbetting Poker employs to keep the games running smoothly include timer that ticks away for each active player and the lack of an obnoxious time bank that is mostly used for posturing and pettiness at other poker rooms that support it. Starting with the visuals, the new Sportsbetting Poker client simply looks more current. 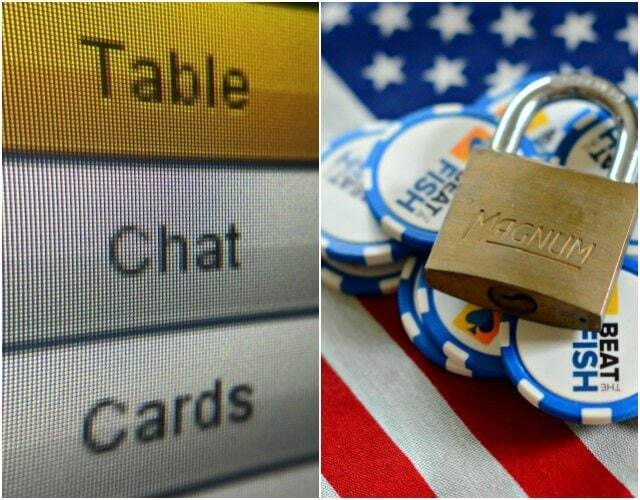 It fits in well graphically with its competitors, looking very similar to both Ignition Poker and America’s Cardroom. The felt color has a few color choices, the carpet offers even more, and the cards have several themes. All of these can be set by the player. All of them look sharp and minimalistic. Custom avatar photos can now be uploaded by each player or you can choose from 15-20 stock ones. These stand out compared to the old picture-less placeholders. It may sound strange and nitpicky, but do you know what I liked most about the new Sportsbetting Poker software? The ditching of the anchored Blackjack game that literally used to live next to every single poker table. That was atrocious and a transparent attempt to tempt bored and frustrated poker players into house games. It’s now relegated to a small “Casino” icon at every Sportsbetting Poker table, which even PokerStars does these days. Another feature that caters to grinders and sharks is the Buddy List. This allows you to track and join the table of anyone you add without their approval. Sure, great for “buddies”, and also great for following around recreational players you’ve pegged to clean out. This one seems like a play taken right out of old Carbon Poker’s book, which was one of my all-time favorite software clients. However, this was one aspect I never saw the logic in. Sportsbetting Poker player VIP status is displayed right under a player’s screen name. I understand rewarding loyal regulars with a trophy of sorts, but I don’t like the idea that casual players could be intimidated by a bunch of gold-level opponents. Advertising your poker experience level isn’t good for anyone. Sportsbetting Poker added some built-in options for multi-tabling with new shortcuts to either tile or cascade every table window. One handy option you don’t see very often is the ability to sit out or resume every table at once. All that being said, even though Sportsbetting Poker looks pretty, it isn’t terribly ambitious or advanced. You won’t find a single feature that hasn’t been done before. It also lacks advanced (and fun) extras like rabbit hunting, deal it twice, or showing one card. That was a missed opportunity. I always appreciate vector-based poker software, which means that you’ll get crisp resolution no matter how you size the table window. Sportsbetting Poker added this, so you can make tables full-screen or smaller than default size without losing clarity. Overall, I’m very glad that Sportsbetting Poker left Chico in the dust before it got buried in it. This is a sharper software client and is no longer a negative. It’s pretty much most of what you need in poker software nothing more. As good as the deposit methods are at Sportsbetting Poker, I think every online poker site is only as strong as their withdrawals. Fortunately, this is one of the largest cashiers left in the US and the ability to receive payouts within a week is a coup in this market. I tell every Sportsbetting Poker player the same thing about deposits and withdrawals: you’re doing yourself a disservice if you don’t use Bitcoin. If you’re intimidated by it, my ultimate guide to Bitcoin for online poker might help. I promise Bitcoin can be less painful than ripping a bandage off, with none of the sticky skin. You’ll get the lowest minimums at Sportsbetting Poker both for deposits and withdrawals with no fees. I’ve never waited more than 24 hours for my Sportsbetting Poker Bitcoin withdrawals and, many times, I’ve gotten my crypto in half that. 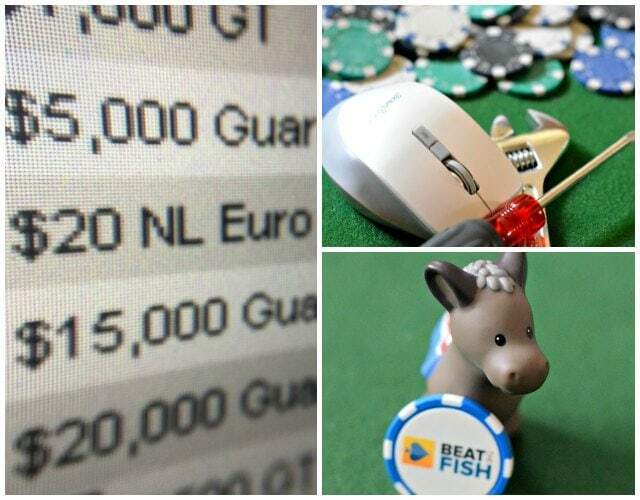 Several of the small poker-only operations have been struggling to meet processing demand. The result is extreme delays for players to receive just one method, usually paper checks. Sportsbetting Poker gives direct bank wires, paper checks, and cash transfers as options. 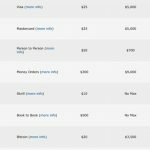 What’s especially notable is that by only doubling the standard check fee to $50 you can upgrade to courier delivery within a week. Since they give you a $50 fee credit per month you can receive a courier check free once a month. For withdrawals over $500, bank wire is an excellent option. Your payout is sent within a week directly to your bank account without the hassle of check depositing. The fees for wires at Sportsbetting Poker are much lower than other poker rooms, ranging from $45-75 for the largest wires of $15,000. Note that all players are given a $50 credit each month towards withdrawal fees. The ease of Sportsbetting Poker payouts are a big reason I continue to play there. They’re probably the second-fastest in the US market and the best at number of available options. Expect courier check payouts within 7-10 calendar days and Bitcoin withdrawals within 24 hours. Sportsbetting Poker seems determined not to lose a player due to lack of support. With many US poker rooms blaming their suddenly-overwhelming popularity as the cause of support delays (cue the eye roll) SportsBetting simply lets you call them on the phone if you don’t want to wait for an e-mail reply. It seems like a basic concept, but telephone support is actually quite rare for online poker sites these days. The Sportsbetting Poker phone support reps don’t seem to beoutsourced and thus have a better understanding of the poker room, the cashier, and other functions that real players will want to know about. Email support replies are currently taking about 24 hours at Sportsbetting Poker, which is about average in the current market. Naturally, customer service is excellent for depositing players, with the support team excelling at finding a deposit alternative for just about anyone having issues with credit cards. One of the more impressive features of Sportsbetting Poker is the decent level of traffic, which is always tough to come by for new independent poker networks. While no US network currently has an overwhelming amount of traffic, Sportsbetting Poker is in the top 3. Player numbers have also steadily grown since launch, largely a feature of the easy deposits and US players looking for new homes after being shunted by the former market leaders. The total player count at Sportsbetting Poker is usually over 3,000, although much of that is due to freeroll players. The cash games at Sportsbetting Poker are some of the busiest in the US market with active tables up to the $5/10 NL level at peak hours and at least 4-5 active tables per limit. The top tournaments usually draw between 200-300 players, which is about average in the market. As I’ve discussed throughout this Sportsbetting Poker review, much of the loose action can be tied to its established base of sports and casino players just discovering the new poker room. Most of the casual interest in poker is also in the quick action of tournaments, likely with edited TV coverage being their only foundation of game strategy. Sports and casino players used to immediate feedback or not forced to directly act to decide the outcome of a bet tend to play poker more for a quick thrill. Big bets and bluffs give them that over the disciplined grinding winning poker usually calls for. The rebuy/add-on format that Sportsbetting Poker uses almost exclusively feeds that mentality, always offering more chips despite playing poorly enough to keep going broke. Patient tournament players and those who want to save the rebuy fees can capitalize on the rush that seems to dominate the early stages. Facing players that will likely go all-in on speculative hands you should simply wait for strong made hands, essentially just pocket Kings or Aces, if you’re going to be involved early at all. You simply aren’t going to be able to get away with seeing a cheap flop for these wild low buy-in tournaments so trap overaggressive players pre-flop with those Kings or Aces. Every hand’s winning percentage decreases with more opponents so isolate with your premium hands pre-flop (likely resulting in a favorable all-in situation against many of these chronic re-buyers) to avoid bad beats later. The same strategy of isolation and playing the opposite style of the rest of the table, which is almost always playing tight at a loose table at Sportsbetting Poker, can be used in the similarly-wild cash tables. First review I’ve seen on this site and the quality is outstanding! Thank you! I’m playing small stakes 6max NLH exclusively on betonline currently and want to give sportsbetting.ag a shot. I’m still confused about bonus clearing though. Does sportsbetting require a rollover of some type to clear? Thanks, Tim! Really appreciate it. If you’ve already been playing at BetOnline you’ll be at home at Sportsbetting as they’re almost literally the same site with different graphics. As you mentioned, getting a second bonus is probably the only reason that players would play at both, but why not if you’re already enjoying one and you can clear it? I’ve spoken with some behind-the-scenes management people at the site and a single player having accounts at both is totally allowed. As for your question on the bonus clearing, yes, Sportsbetting will require that you play a certain amount before releasing it in $5 stages. When you make your deposit you have to email Sportsbetting (lame, I know) to request the bonus and then it sits as bonus cash alongside your actual money in the cashier. That’s the same deal that poker sites have had in place for years with the exception of the occasional small instant bonuses. I’m not a fan of how they all advertise it, though. Players see enormous numbers in a gigantic font that makes it seem like you actually deposit $100 and play with $200. I’m sure online poker sites don’t mind that misconception. It can be misleading to newer players who haven’t gone through that before and who don’t read the legalese Terms and Conditions. At Sportsbetting Poker specifically, when you earn player points from either contributing rake at cash games or paying tournament fees you receive Comp Points. Every time you earn 1,500 of those you get $5 released to your real-money balance. Sportsbetting is decent that they give you 60 to earn as much as you can and their release rate is above-average.